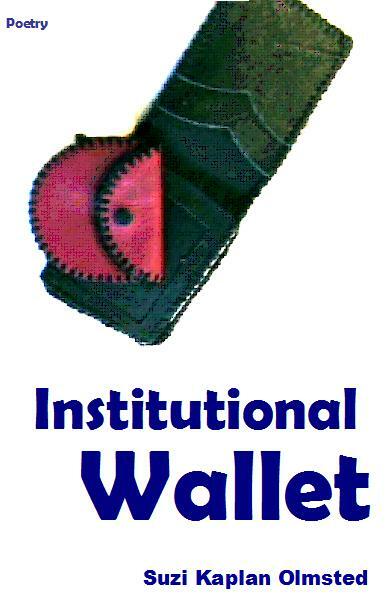 Institutional Wallet is a personal and intrigueing collection of poetry by poet Suzi Kaplan Olmsted. Inside the covers of this collection, readers will find verse that is poignant, upfront, bemusing and even gritty. A great read, Suzi confronts the in and outs of the mental ward, reminisces over psych medication and offers a view so seldom seen by others outside the confines of what is viewed as “normal” living. This is a gem of a collection that contains work delivered with utter humility, quiet disbelief, subtle humor and a penchant for the unexpected.